This picture is © Don Hewins and may not be used or published without permission. Photo by the late Peter Hewins. Caught fire on engine start up due to a fuel leak. 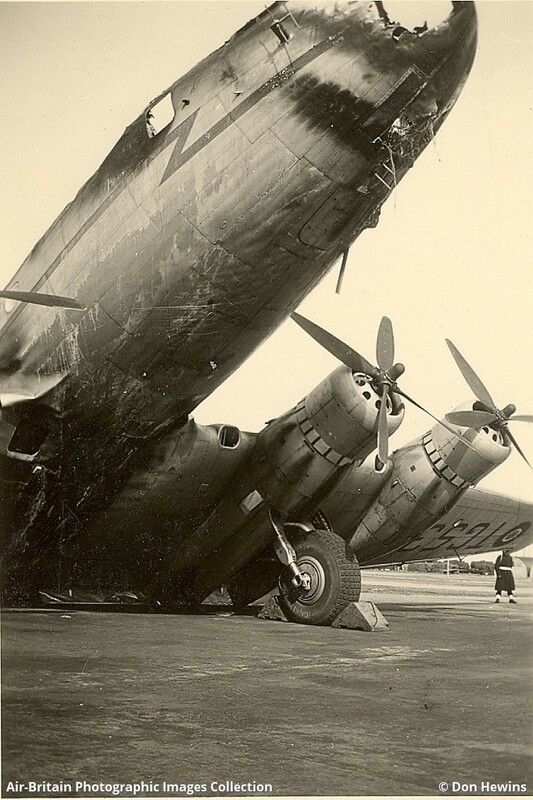 The aircraft was taking part in the Berlin airlift.